It was eleven thirty in the evening. I woke up drenched in sweat for I forgot to switch on the air conditioning unit before I fell asleep. It’s already the third week of May and yet the scorching summer heat still lingers here in Metro Manila. With this roasting temperature, I am starting to believe Dan Brown when he wrote in his latest novel Inferno that found in Metro Manila are the gates of hell. I tried but could no longer go back to sleep, I slipped into my old blue jeans and put on a freshly laundered singlet. I proceeded outside the streets of “the gates of hell” to find anything that will cease the torridity off my body. About a hundred meters away from my flat while walking through Vito Cruz Street I found an eatery. It’s about to close but I begged the attendant to let me in for I want to order, guess what? 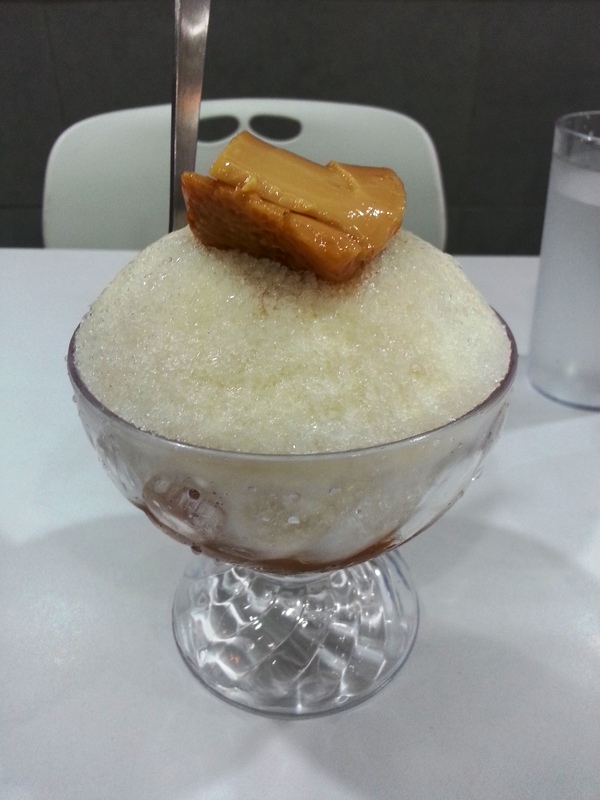 Answer: Halo-Halo. Yeah! 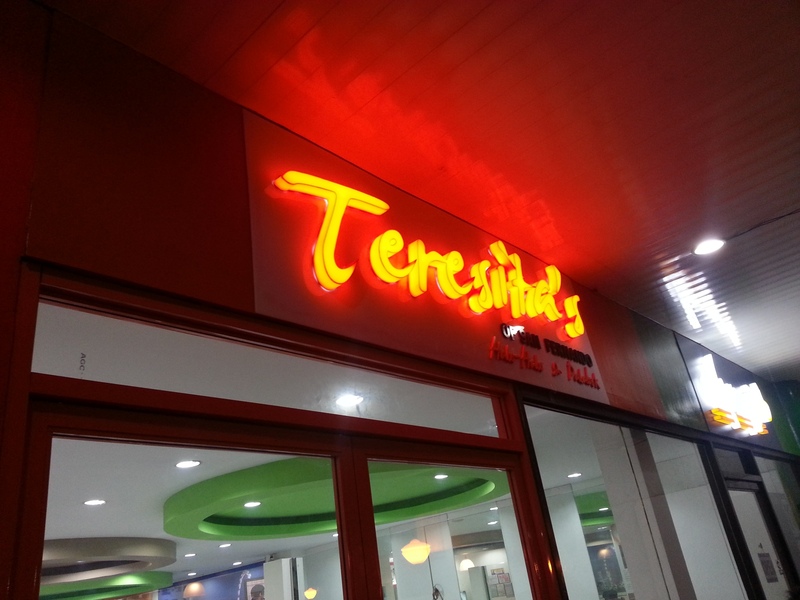 There is a new Teresita’s branch here in hell-gate Vito Cruz!!! It’s no longer just in the far away hell-gate Tomas Morato!!! Of course I ordered the “Special” version, i.e. with “minatamis na langka” (sweetened jackfruit) only worth Php 95. 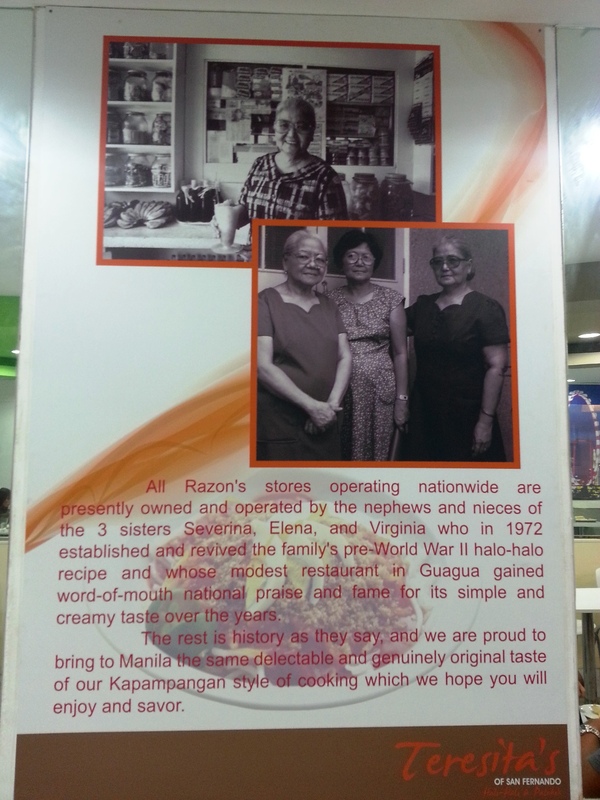 It’s not the generic Filipino halo-halo neither the typical Razon’s halo-halo. Instead it’s of a grandeur version, that is, with heaps of chunky-to-the-bite banana, brutal portions of glutinous macapuno, the sweet viscous lumps of tasty langka, smooth shaved ice with super generous amount of the vicious and sinful leche flan. 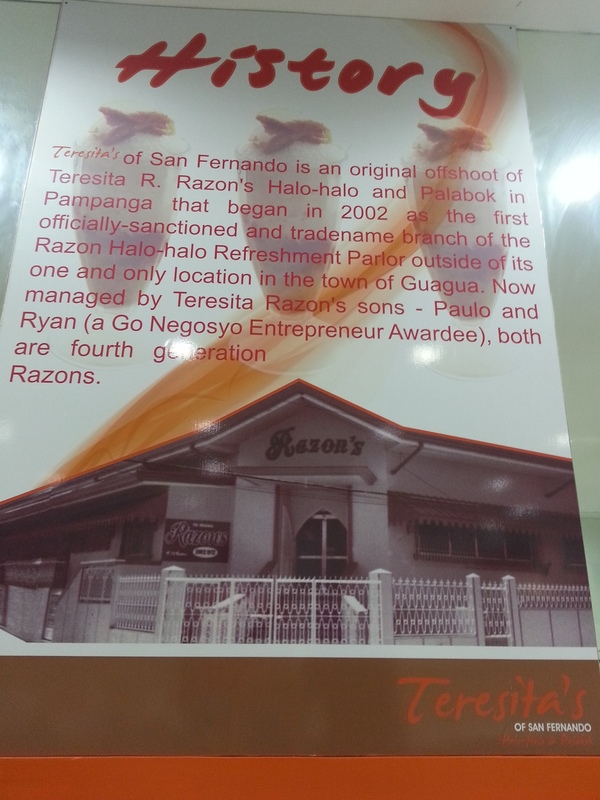 I swear to God they have the tastiest halo-halo in all face of heaven, purgatory and hell. After paying my bill and start to walk back to my unit, I realized that Tesesita’s Halo Halo is something that can be compared to a piece of heaven and that I am actually glad to be living here in the “gates of hell”.